This guide shows how to connect to Square. 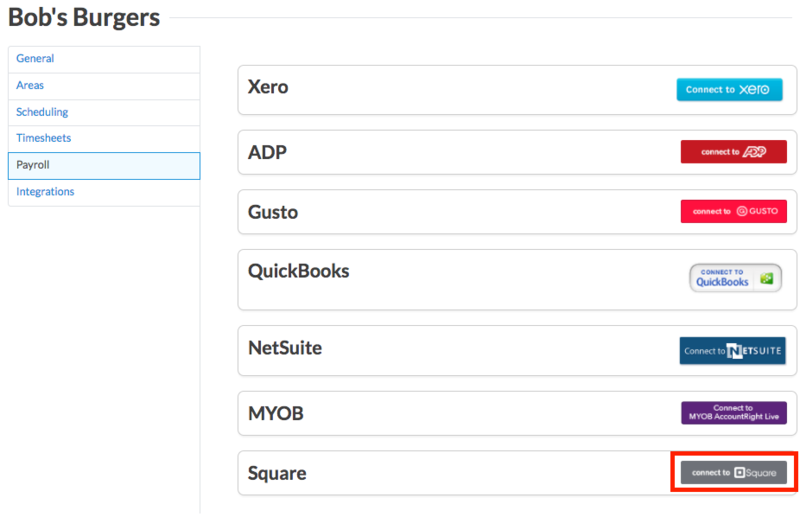 This integration currently supports timesheet, employee, and sales data sync. 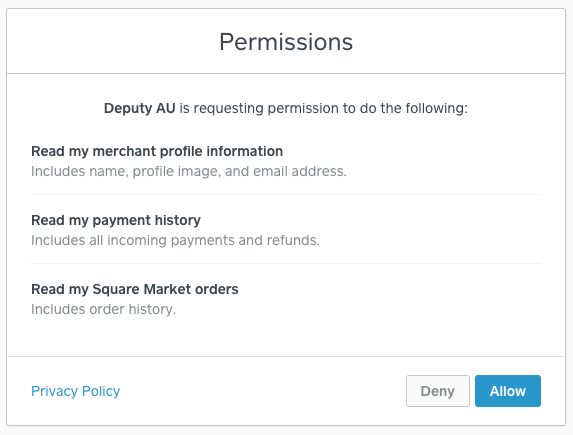 This article will explain the integration between Square and Deputy. 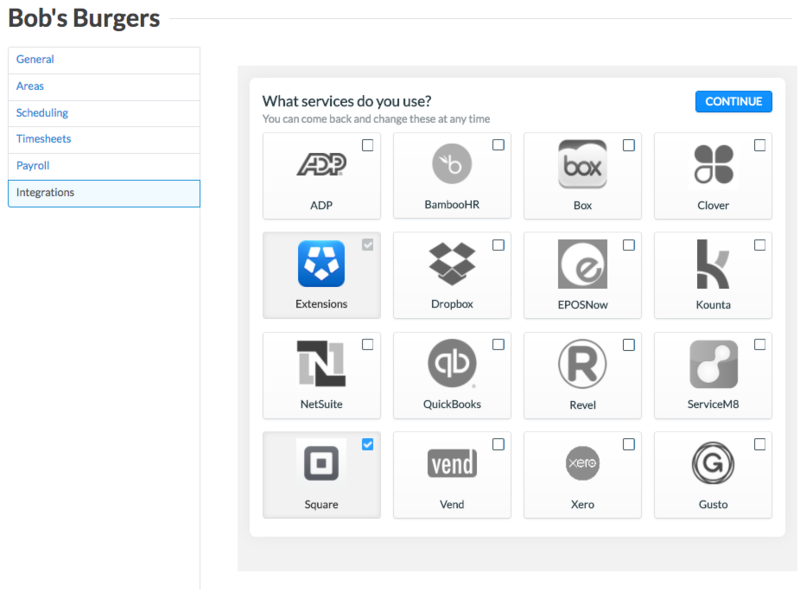 For a full list of connections, visit our Integrations help article. First, ensure that you have a valid Square account. To do this, click HERE and follow the prompts to create your account. To connect your Deputy account, log into your account at once.deputy.com. Click the Locations tab and click 'Edit Settings' on the location you would like to link. A pop-up will appear. 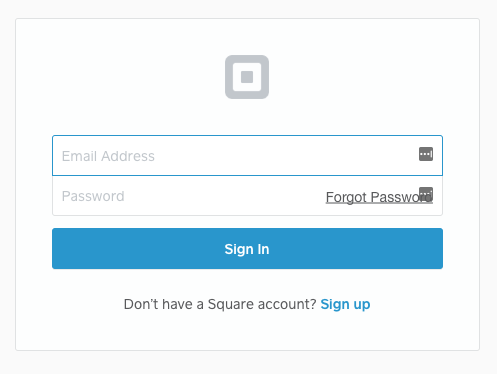 Here, you will need to enter your login details for Square. The following page contains permissions in which Deputy will need to access. Click 'Allow' on this page. When a new user is created, it will sync the employee data into Deputy. When a sale is created, the sales data will sync into Deputy so you can manage your scheduling in line with your sales data/budget. When a timesheet is created in Square, it will also create a timesheet for export within Deputy.